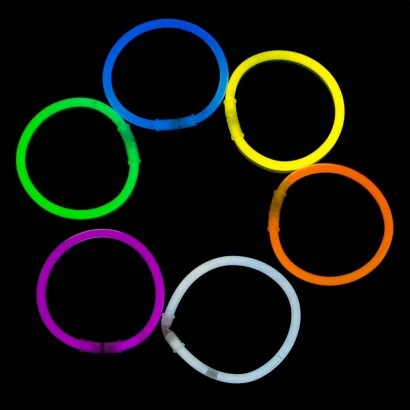 Wholesale Glow Bracelets. We offer single colour, mixed colours & Tri colour. 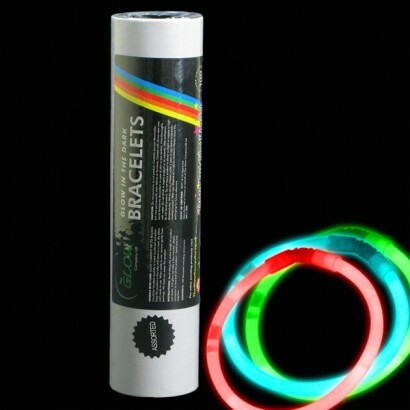 Glow in the dark bracelets supplied in bulk tubes of 100. The Glow Company UK brand. Quality on all products guaranteed. 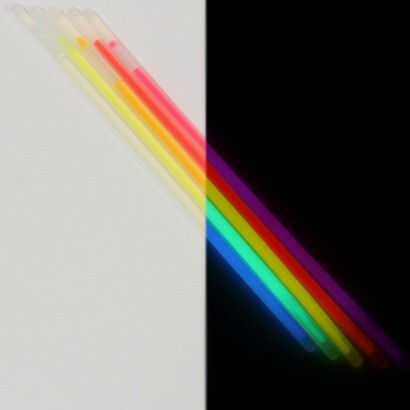 Buy glow bracelets at wholesale supplied bulk in tubes of 100. 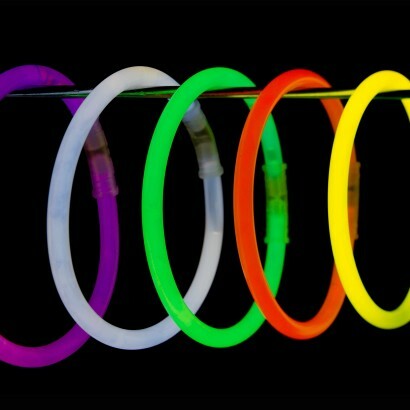 Available in mixed or single colours each glow bracelet will keep glowing for a minimum of 8 hours. 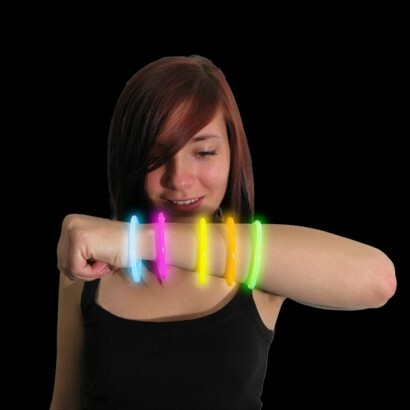 In Addition to the glow sticks, 100 connectors are included, with which you can create cool bracelets or necklaces. 2 triple connectors and 2 ball connectors are also supplied, with which you can build creative shapes. FULLY UK CERTIFIED & FANTASTIC VALUE!